FirstDown PlayBook will be focusing on the Varsity Two Back run game area a lot in the fall of 2018. Today we wanted to take the opportunity to introduce what we have in store for you, while at the same time reviewing the organization we have set up in the Varsity run game area designed to help you find what you are looking for faster. There are a lot of different ways to run the football out there and quite frankly some of them have very little to do with one another other than the people blocking need to do just that and block the defender they are assigned. 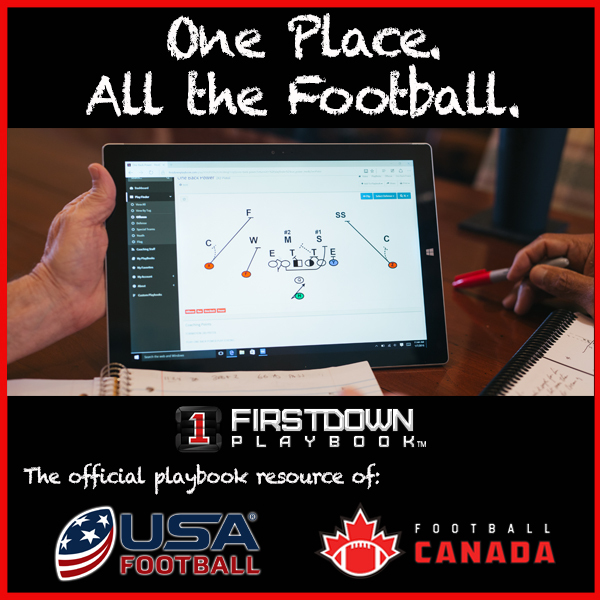 FirstDown PlayBook organizes all of these different types of runs by sorting them out by concept and also by formation for you. It doesn’t stop there. After you find the run game concept and the formation you want to use, FirstDown PlayBook then draws the run plays up against 15 different defensive looks. Overkill? Depends on how detailed you want to be about it. FirstDown PlayBook knows the same defensive front can be blocked entirely different if the coverage behind it changes. Today we will take you through one of our most recent installations as we focus on running the zone read to the strong side of the new Two Back Open formation along with some of the coaching points about adjusting to that seventh defender in the box.